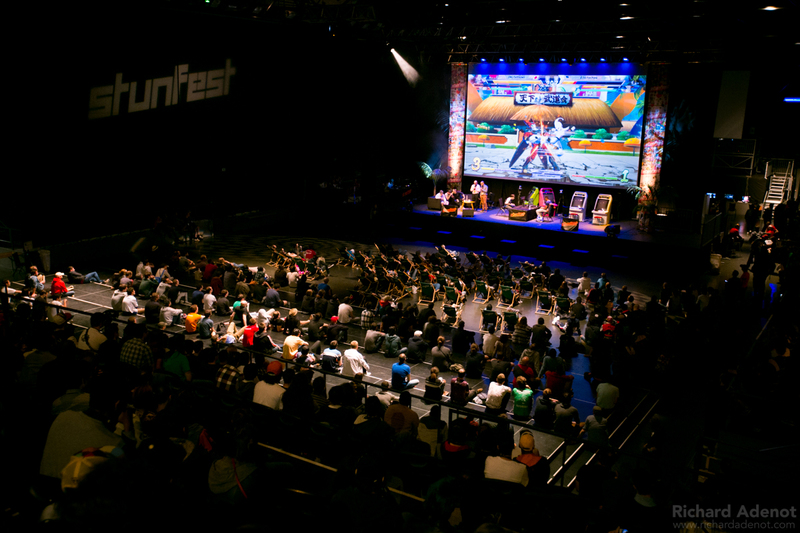 Stunfest is unique in its kind, and the biggest tournament in Europe with more attendees than any other in 2018, and with 4000 live viewers, and breathtaking matches. 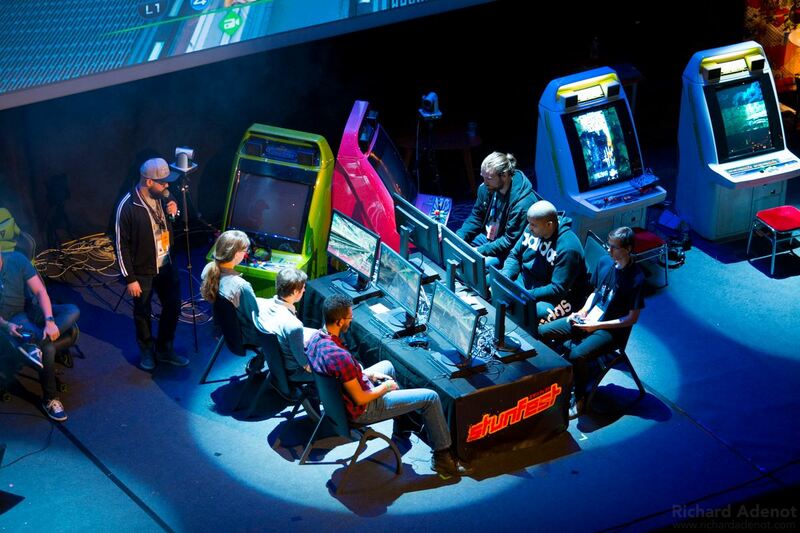 Stunfest has always been a pillar of the Fighting Games Community, since our first edition in 2005. We have a long history of collaboration and success with major Versus Fighting Games events : Street Fighter series, KOF, Soulcalibur, DBFZ, Smash Bros., Tekken, Guilty Gear, Mortal Kombat. 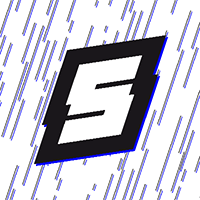 And let’s not forget our trademark tournaments : Breakers Revenge and Stuntacus ! 14 February 2019 : Early Birds ! 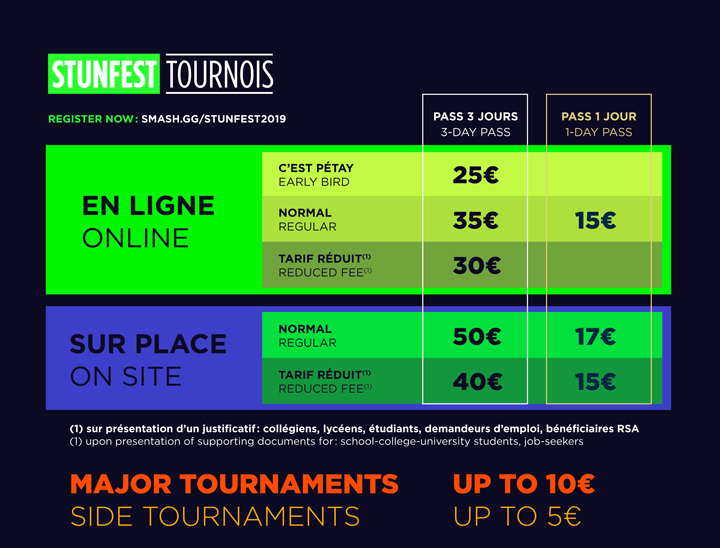 You can buy your Stunfest Competitor 3-Day Pass at à special discount rate with limited quantities. Competitors Passes give access to the whole Stunfest festival. 1st March 2019 : Registration opening for the first tournament . ATTENTION ! 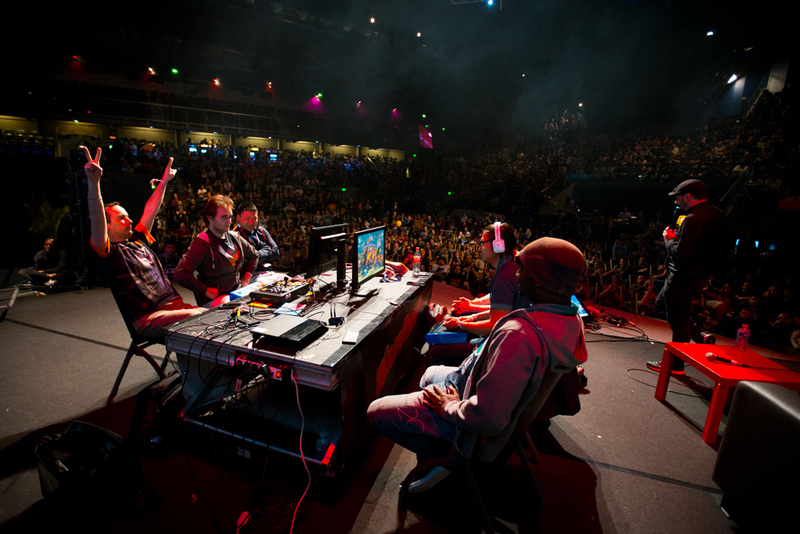 THE STUNFEST COMPETITOR PASSES ARE ONLY FOR COMPETITORS, WITH A SPECIAL DISCOUNT RATE. YOU MUST REGISTER AT LEAST TO ONE TOURNAMENT IF YOU BUY A COMPETITOR PASS. IF YOU DON’T REGISTER TO A TOURNAMENT, YOU WILL BE ASKED TO PAY FOR A NORMAL STUNFEST PASS PRICE WHEN ARRIVING AT THE VENUE.